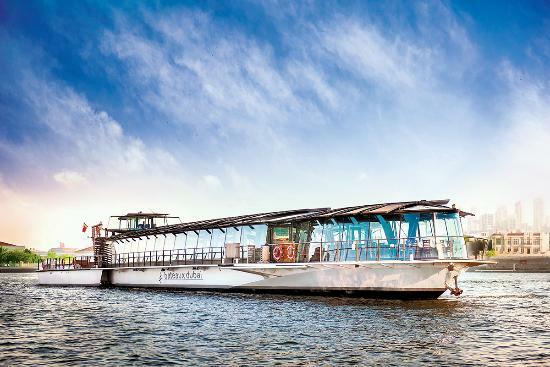 Discover a different side of Dubai’s most memorable sights – from the water. Set sail and explore the city’s coastline with these adventurous experiences based on ancient and modern traditions alike. 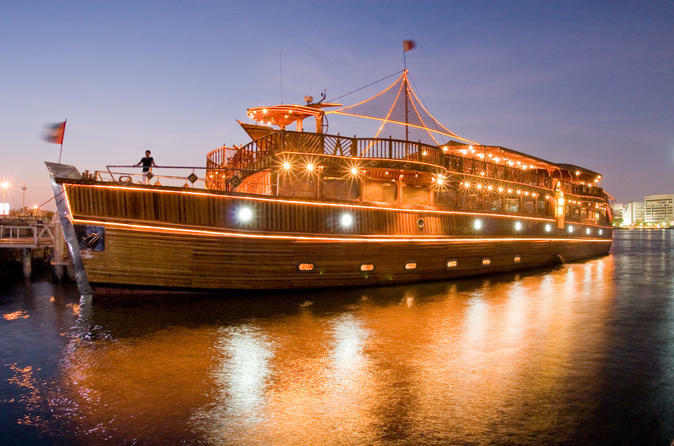 Hop aboard and enjoy an unforgettable evening, where the height of opulence combines with a heart-warming sense of Bedouin tradition as we glide down on authentic wooden Dhow. The Dhow is traditionally decorated Boat. 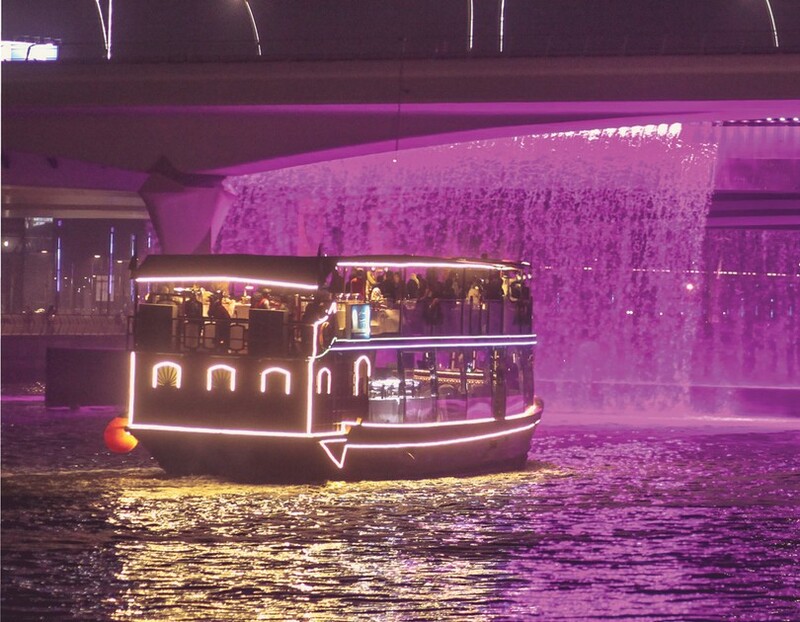 Cruising down Dubai Marina/creek is a novel experience, one which you cannot miss when in Dubai. 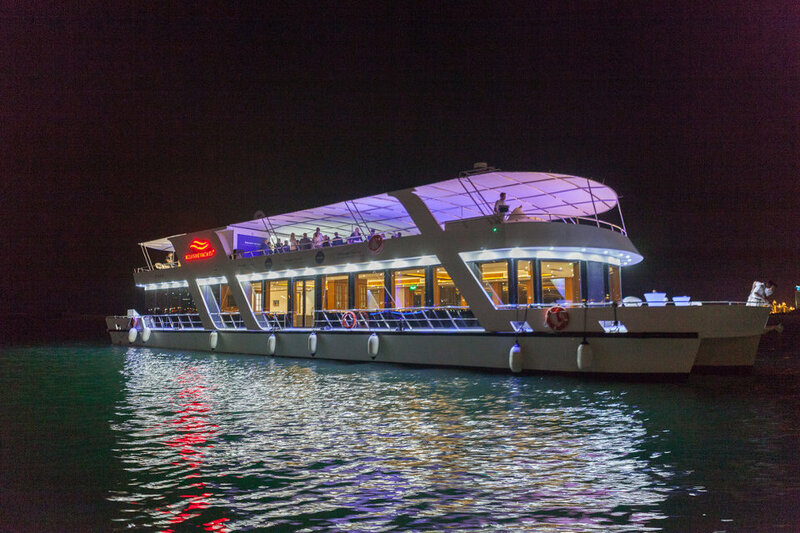 Imagine yourself on having dinner on a Dhow Cruise with the fascinating lights of Dubai Marina/Creek with Music and Tanura Dance show with a sip of your favourite drink and BBQ buffet dinner.